Founded by Karan Bilimoria, the son of a forma General Officer Commander-in-Chief in the Indian Army as a smooth beer to accompany curry. 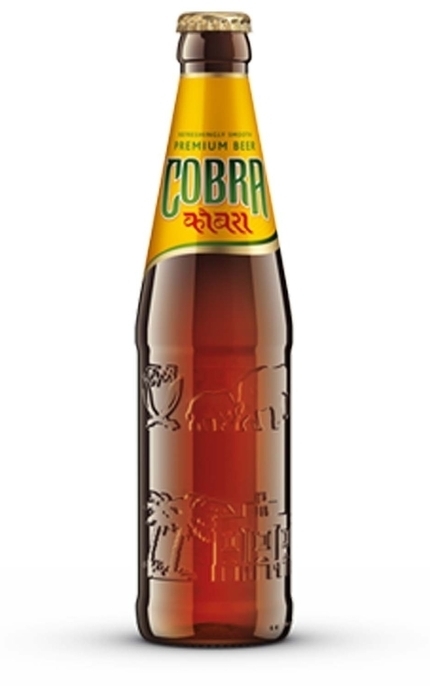 Cobra was first brewed in Bangalore in 1989 but since 2009 has been made in Burton upon Trent using malted barley, rice, maize, hops and “modified hop products”. (best before 16-Jul-13) Clear, bright golden yellow with thin white head. Subdued with faint sweet corn-on-the-cob cereal and grassy hops. Light bodied/bland but clean with sweet lightly malty flavour and very subtle hops influence. 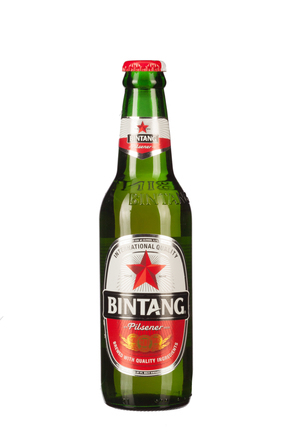 Slightly metallic notes finish a clean but bland beer. However, served ice cold enough with good hot madras and it tastes divine.